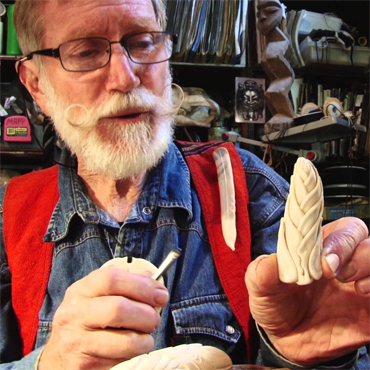 The Tainui Historical Society presents a Bone Carving Workshop with special guest Owen Mapp. alongside carvers making bone pieces. Brown on (06) 7525 995 or 027 2236 138. We are so delighted to have Owen Mapp as our special guest for this Easter’s bone carving workshop in Mokau. We are so fortunate to have a guest of this calibre. He will be an inspiration to us all. Remember Easter dates this year are Friday 30 March to Monday 02 April. Suggest you secure your accommodation now before it is all booked out. See accommodation list. We have managed to keep costs down to $35 for the weekend workshop – due largely to sponsorship from Waitomo District Council. This year we are making special provision for a beginners’ group alongside the usual workshop for experienced carvers. Equipment will be provided for beginners. We will be in touch with details of what to bring closer to Easter. For now it is important we receive your registration of interest. Really looking forward to a fantastic weekend together.